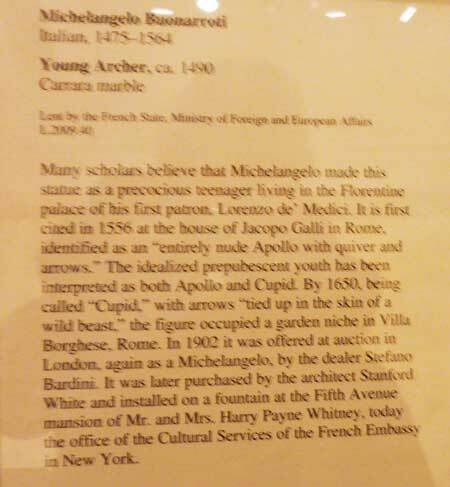 The Met’s Stealth Attribution: A Michelangelo in Our Midst? The putative “Michelangelo of Fifth Avenue” has gotten an upgrade. If people are unconvinced, I’m not worried. I’m glad we can offer people the chance to see and decide. Now Draper has decided for us. But as I said in my Wall Street Journal piece—“Michelangelo(?) in America”—published shortly after its 1996 “discovery,” several distinguished scholars didn’t believe it was by that master at all. (You can read in full what I then wrote at the end of this post.) 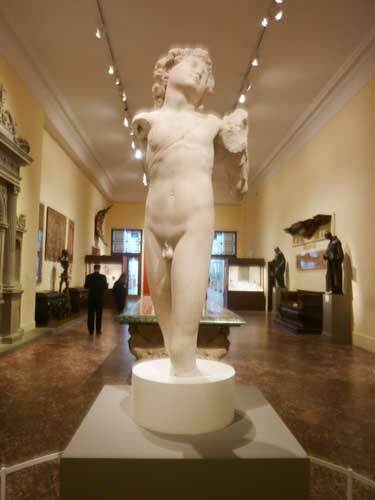 Yale art history professor Gilbert contacted me several times after my WSJ article appeared to discuss in detail why he believed the sculpture was not by Michelangelo and was neither Apollo nor Cupid (the subjects suggested in the Met’s description).